U.S.M.C. 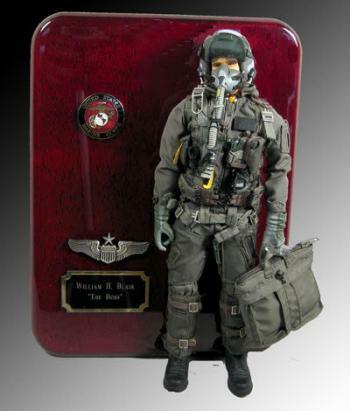 Pilot in uniform and helmet 1/6 scale [PLA-324M] - $389.95 : Metalcraft by Blair - military gifts and memoribilia. We can apply the pins or badges of your choice -- also any branch of service. This one is for the U.S.M.C.